June 13, 2018 - With the inauguration of the third phase of the Leitz Park, the “Ernst Leitz Werkstätten,” a division of Leica Camera that designs and manufactures luxury products, has begun operations with the debut of a completely new and exclusive product line in the Leica Camera portfolio: limited-run mechanically advanced and stylishly sophisticated watches. The Ernst Leitz Werkstätten is housed on the latest phase of Leitz Park and offers a fascinating insight into the elaborate production of “Made in Germany” watches through the manufacturer’s viewing windows, where guests can see first-hand the production of these incredible products. The premises include an assembly workshop, a consulting studio and a store. 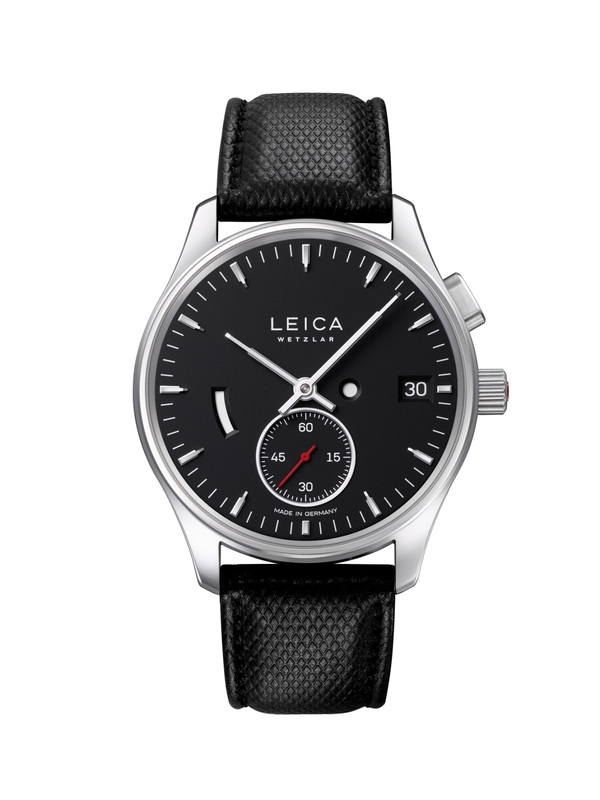 Two models – the LEICA L1 and the LEICA L2 – will initially be available for the launch of the Leica Watch. Both variants draw their design inspiration from the creativity and precision of the world-famous brand from Wetzlar. Both models were designed by Professor Achim Heine, who oversaw the design of many Leica Camera products over the years and has extensive knowledge of the company’s design principles. 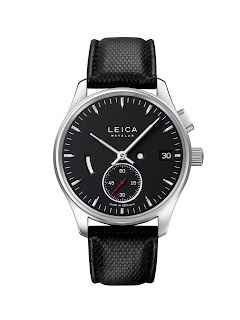 The Leica signature look can be found in the countless design elements and features of the watches: the elegance of the hands and indexes, the shape of the finely-detailed stainless-steel case, the special fluting on the crown and the cambered shape of the glass that is reminiscent of a camera lens. Both models are operated by a mechanical movement with manual winding, which has been newly developed and can be viewed through the glass case back made of robust sapphire crystal. For Leica, the “Made in Germany” aspect is of particular importance, hence the collaboration with Lehmann Präzision GmbH. The development, design and a large proportion of the components come from the manufacturer situated in Germanys' Black Forest and help the watches achieve a very localized supply chain and manufacturing workflow. 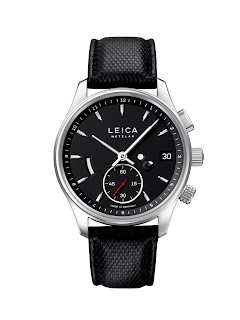 Design and technology complement each other perfectly in the Leica watches: both the front glass and the back case cover are made of scratch-resistant sapphire crystal, with the front being anti-reflective on both sides. Each model also has the patented push-piece crown with a corresponding status display on the dial. In combination with the zero setting of the second hand, the crown is not only aesthetically appealing, but also adds a useful function to the watches. The LEICA L1 and the LEICA L2 will be available in select Leica Stores as well as at watch dealers worldwide beginning in autumn 2018. 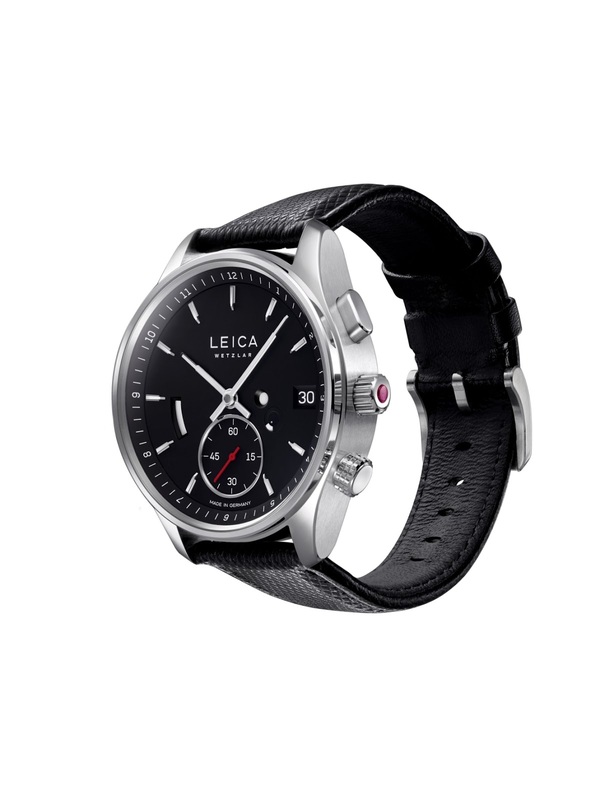 The L2 model will also be available in a version with an 18 karat rose gold case. To mark the occasion of the Ernst Leitz Werkstätten commencing operation, limited special models of the two stainless steel versions with a red dial will also be released. Located in the newest part of the Leitz Park in Wetzlar, Germany, the Ernst Leitz Werkstätten, which derives its name from Ernst Leitz, the founder of the Leitz Werke that opened in 1869, specializes in the design and manufacturing of luxury products. As an independent division of Leica Camera, they were founded by Dr Andreas Kaufmann, Chairman of the Supervisory Board and majority shareholder of Leica Camera. More information is available at www.ernst-leitz-werkstaetten.com.